Your wedding is a day you’ll never forget. Make sure AAAA Limousine is there. We believe every bride and groom deserves the best on their wedding day, and their limousine ride is no exception. Our red carpet limousine service comes complete with a professional and friendly chauffer to make you feel at ease on your special day. If you’re looking to chauffeur the entire bridal party, or just the couple, we have a car to fit your needs. 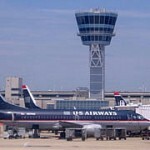 AAAA Limousine is here to provide you transportation to and from any major airport. We can arrange a car service to drop you off at the airport, or send a limousine to pick guests. Wherever you’re traveling, arrive in style with AAAA Limousine. Instead of worrying about parking lots, traffic and timing, call AAAA Limousine to chauffer you to your next concert. Our concert limousine service allows you to enjoy the time before the concert. We will drop you off and pick you up from the event easily. Servicing all major venues. Spend a day in the big apple with AAAA Limo. We specialize in limos and town car services to New York City. Instead of dealing with traffic and parking, enjoy your day in New York City. AAAA Limo will take you to and from your New York City trip at an affordable rate. Whether you’re planning your child’s prom, a bachelor/bachelorette party or any other event, AAAA Limousine is the choice for limousine services in Scranton, Wilkes-Barre and the rest of NEPA. Our professional services ensure no matter the destination, you’ll feel confidant in AAAA Limousine. Plan a trip to see your favorite sports team play live this season! 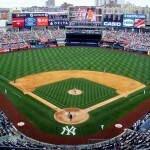 AAAA Limo offers limo services to sporting events in NEPA, New York City and Philadelphia. If you’re looking to spend a night rooting on your favorite basketball, football or any other professional or semi-pro team, then call AAAA Limo. Our limo services are available to take the pressure of traveling and parking off your hands and allow you to enjoy your game, tailgate and event stress free! You can choose a lunch package for your day trip to a winery, football game or any other event and AAAA Limo will supply the transportation and the meal! 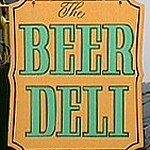 We have menus and meal options available from Beer Deli for you to order and have included in your limo rental package. If you’re looking for a complete package, look no further than AAAA Limo. We also offer 24/7 courier service. One hour response to your emergency in the Northeast.